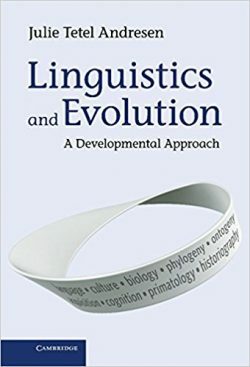 Evolutionary linguistics – an approach to language study that takes into account our origins and development as a species – has rapidly developed in recent years. Informed by the latest findings in evolutionary theory, this book sets language within the context of human biology and development, taking ideas from fields such as psychology, neurology, biology, anthropology, genetics and cognitive science. Linguistics and Evolution offers readers the first rethinking of an introductory approach to linguistics since Leonard Bloomfield’s 1933 Language. It will be of significant interest to advanced students and researchers in all subfields of linguistics, and the related fields of biology, anthropology, cognitive science and psychology.